Debra Greene, PhD is a mind-body medicine specialist and frequently quoted expert in the fields of energy medicine and energy psychology. She combines the best of ancient wisdom with modern science in her private practice, writings, lectures, and nationwide media appearances. Her plan is to show us where human energy comes from, and how we can use our minds to heal our bodies. She’ll also discuss the magic and power of consciousness. Her goal is to empower the community to benefit from the latest breakthroughs in energy medicine. Author of the acclaimed book Endless Energy: The Essential Guide to Energy Health, endorsed by Bruce Lipton, Alan Cohen and other thought leaders, Debra combines the best of ancient wisdom with modern science in her private practice, workshops, lectures and media appearances. 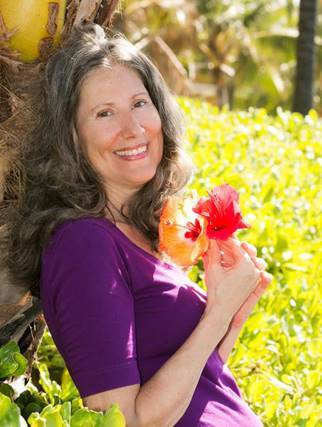 She holds a PhD from Ohio State University and is a wellness consultant at Four Seasons Resort Maui. In this interactive presentation, learn about your internal senses and use them to navigate a clear map of your interior. Explore the behaviors of thought-forms and use your mind to change physical reality. Discover life-altering breakthroughs in science to facilitate self-healing.